Scotland – every day's a holiday! If you thought the Vikings were a thing of the past, hold on to your helmet. On the last Tuesday in January, hundreds of Vikings invade the otherwise sleepy archipelago known as Shetland. Shetland lies between Scotland and Norway, making it the perfect pillaging point in the heyday of the Vikings. Around 1000 AD, the Vikings began settling on the islands. A thousand years later their descendants are still proud of their heritage. At no time is that more apparent than the morning of Up Helly Aa, when hundreds of men dressed as Vikings (women are not allowed) take to the streets of Lerwick to recreate events from the great Norse sagas. Now, if you’ve ever read the great Norse sagas, you would think this would be compelling reason to stay away. On the contrary, Up Helly Aa is one of Shetland’s biggest tourist draws, as travelers come from all over the globe to witness the motley crews and be a part of the drunken revelry. It’s at night that the Shetlanders really heat things up. Up Helly Aa is one of Europe’s greatest and most famous fire festivals. The bonfires and torchlit processions replaced the tar-barreling activities which were banned. Enormous galleys are built for the celebration. The highlight of the evening is the torching of the amazing galleys, which light up the Lerwick night. Without ever picking up a sword or musket, Burns became a national hero of the Scots. His weapon was the pen. His ammunition the Scottish language. (Yes, they have their own language). Even in Burns’ day the Scots language (a collection of dialects such as Doric, Buchan Claik, and Lallands) had lost favor with the upper crust. The 1707 Treaty of Union had united Scotland with England to form the Kingdom of Great Britain, and the new establishment, for fear of sounding provincial, distanced themselves from the ‘auld’ dialects. English became the de facto language in education, and the language itself was blending with that of their neighbors to the south. 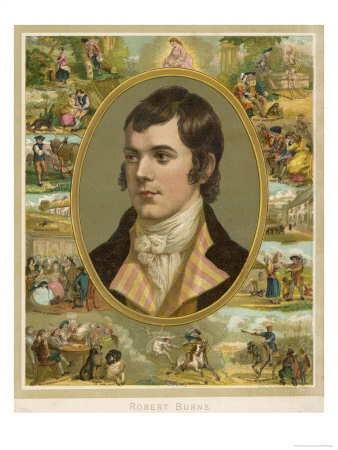 Robert (Rabbie) Burns entered the world on this day, 1759. His father was a gardener and an unsuccessful farmer, but he managed to secure an education for Robert, the first of his seven children at the village school. After his father’s death, Rabbie was forced to return to farming to support the family. It was during these years that he wrote some of his most famous poetry. (And conducted some of his more fruitful love affairs.) He also scoured the countryside collecting the traditional folk songs of his people, which would have otherwise been lost to history. His collection, Poems, Chiefly in the Scottish Dialect earned him rapid fame, but not fortune. Unlike the born-wealthy poets of his day, Burns earned very little from his writing. He continued to farm, and when the farm failed, he became an excise officer in Dumfries. His romantic, radical, idealist persona fostered by his works did not always match his life. Burns is often described as having a “weak heart,” but this did not dim his sexual escapades. He bore numerous prodigy by several women, including his long-suffering wife, Jean Armour, who bore their last child together on the day of his funeral. Burns passed at age 37 in 1796, leaving behind a romantic image of himself no man could match and a country beaming with nostalgic pride. Invite good friends, toast to Rabbie, roast said friends, drink heartily, savor the traditional haggis (everyone’s favorite) and recite the Bard’s immortal verse. November 30, St. Andrew’s Day, is the national day of Scotland. 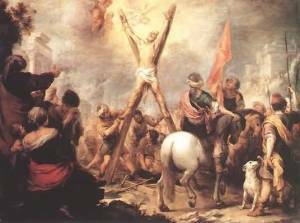 St. Andrew is said to be the first disciple of Christ, though he’s got some competition from his brother Simon Peter. The Book of John, however, proclaims Andrew and an unnamed disciple of John the Baptist as the first two, and Simon Peter as the third. When John the Baptist calls Jesus “the Lamb of God”, Andrew and the unnamed disciple choose to follow Jesus. Only after spending the day with Jesus, does Andrew get his brother Simon Peter to tell him they’ve found the Messiah. Saint Andrew is also the patron saint of Russia, the Ukraine, Greece, and Romania. But why Scotland? A country he never came a thousand miles from? The answer may lie with some of the Saint’s relics. St. Andrew’s Day didn’t become an official Bank Holiday in Scotland until 2006, a move that met with some controversy. Azeem Ibrahim, Is Saint Andrew’s Day Worth Celebrating?